From the job postings, the restaurant is being called “Epcot Space 220”, but we don’t know if this is the actual final name for the location. The dining room for the restaurant is expected to seat over 350 guests. 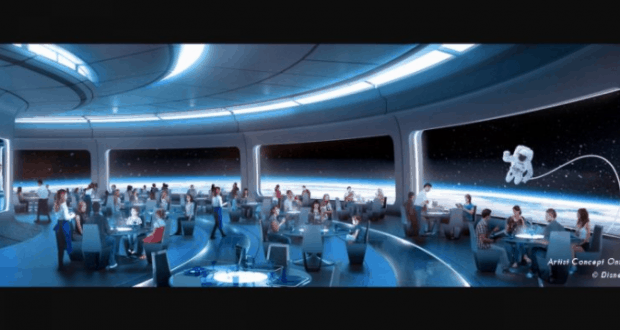 This new dining location is expected to offer guests a simulated view of space so that it appears like they are actually dining in space, dining from a spaceship. There will be two elevators that take guests into the dining location that will be part of the themed experience. Currently there are positions posted for waiters/waitresses, cooks and hosts/hostesses. The new dining location is set to open in April 2019. Of course we will post more details and info about the location, food and experience as soon as we learn more! Who can’t wait for this new restaurant to open?